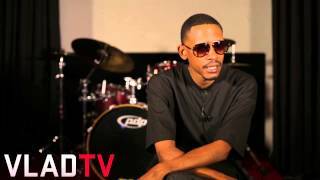 http://www.vladtv.com - Kurupt opened up to VladTV about how TLC's Lisa "Left Eye" Lopes advised him on how to leave his deal with Death Row Records. While he explained that he couldn't go deep into the details, Tha Dogg Pound rapper spoke of his admiration for Lisa. During the conversation, Kurupt also spoke about dropping his plans to move to Philly when he got together with Foxy Brown and made the switch to New York. Sometimes I wish that we could somehow go back in time and show some of these artists what they will eventually be like in the future. Kurupt would be at himself. Dec 21, 2013 · Foxy Brown Foxy's Bells Ill Na Na Producer - Trackmasters.